The Angel Trumpet is a decorative container plant with large, fragrant flowers. This variety has whi.. This tender herbaceous perennial (or houseplant only in cooler climates) is native to the easter..
Viburnum tinus is an evergreen shrub that is easy to grow and adds interest to the garden all ye.. The Jezo spruce or Yezo spruce (Picea jezoensis or Picea yezoensis) is a large evergreen tree gr.. 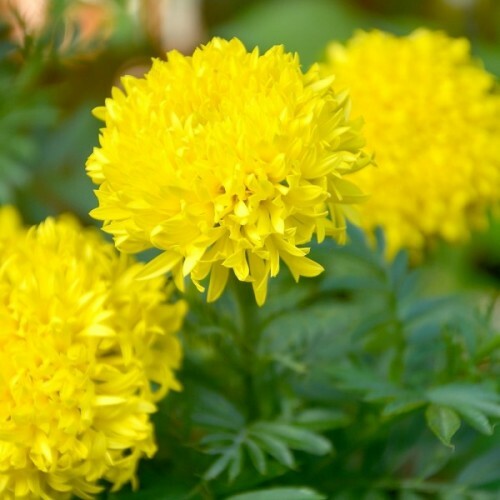 Approximately 60 seeds in 0.3g packet.Marigolds are regarded as one of the easiest plants to gro..